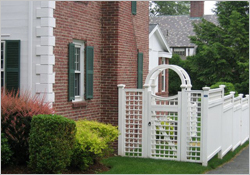 For over ten years, Maksymilian Fence has been designing, building and installing custom fences, gates and enclosures. Maksymilian Fence has always provided reliable workmanship and high quality fences in every installation and repair project. Our fencing company specializes in residential and commercial installation and repair work in addition to wrought iron railing repairs. Our goal is to ensure the complete satisfaction of our customers and we always guarantee our work. We have over 10 years in the commercial and residential fencing industries and our reputation speaks for itself. We take full responsibility and pride in our fence installation and we can say with confidence that we have very happily satisfied customers. Contact Maksymilian Fence today at (617) 536-3396 to schedule your appointment, or ask about our free, no-pressure estimate. You can also fill-out a free rate quote form and we will be sure to respond to all inquiries via email within 24 hours.